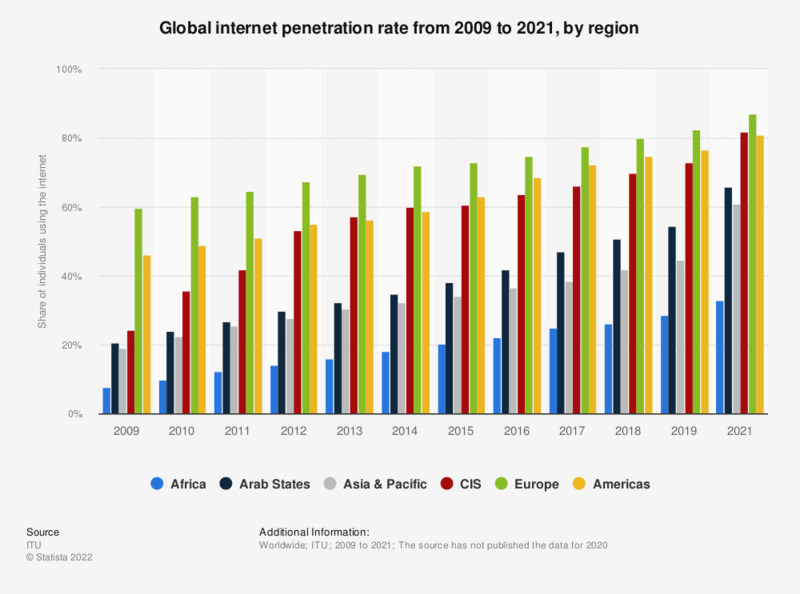 The statistic shows the global internet penetration rate from 2009 to 2018. In 2012, internet penetration in Africa was was the worldwide lowest at 10 percent and grew to 22 percent in 2018. As of that year, Europe had the highest internet penetration among individuals with 79.6 percent of the population accessing the internet. As of 2018, the total global internet reach translated to more than 3.9 billion internet users worldwide.